I've really enjoyed this site since discovering it a few days ago. I'm learning a lot - just don't give me pop quiz! Terrific shot of the vortex. Inquiring minds want to know - what caused it? Fissure opened to the aquifer or underground stream? Good question: Swallets are most common in North Florida, perhaps the most famous one being at the Devil's Millhopper. During high water, vortexes are known to form. As in this case, I cannot reveal my source or its cause. It's a heavily guarded secret of the swamp. Life would be no fun without secrets! I'll continue to just enjoy Nature's offerings every chance I get! Glad you escaped the vortex. Ran into another (different) one today. 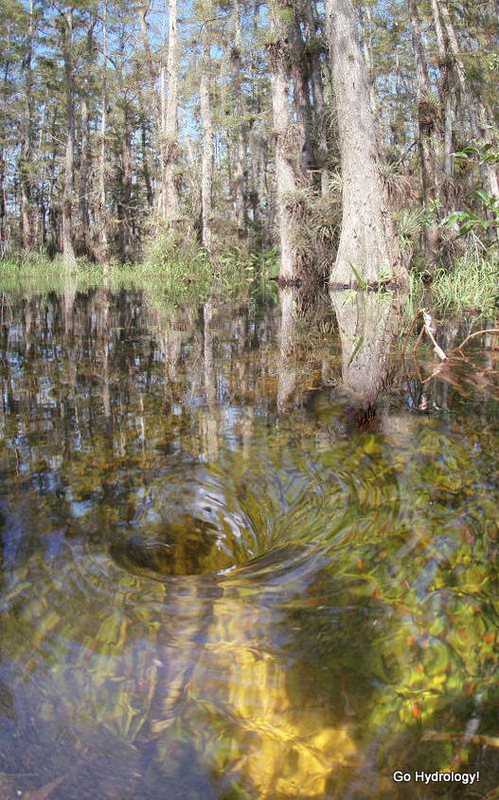 A swamp vortex was one of the first pictures I saw when I started reading this blog, perhaps a year or two ago. I remember wondering, for quite a while, what it was caused by - until the source was finally revealed.